Nine sub-series in chronological order. Howe made many trips to Baja before the paved highway opened up the peninsula in 1973. He relates an amusing tale of a jeep trip with Clyde Price (Howe, 1976a). See also: ASA001-1282 – 1301 for additional negatives of photographs taken in Baja. 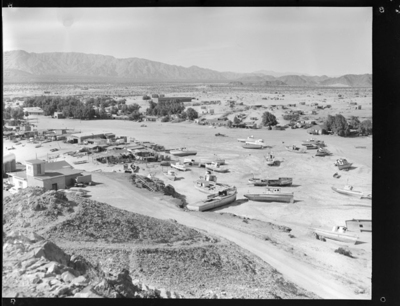 San Felipe harbor, shell mounds, and fisherman’s shrine; ocotillo plants and an elephant tree (ASA001-1177 – 1184).